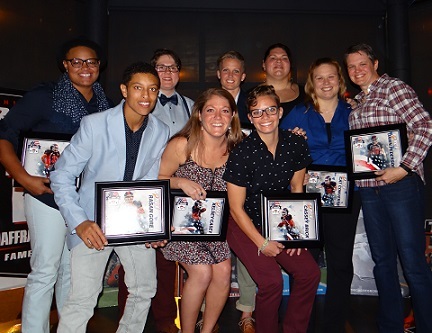 The Chicago Force spent a recent evening celebrating its memorable 2015 season, which included a dominant playoff win over the defending national champion. The Force playoff run ended in the conference finals, just one game short of the national championship. "It was an amazing season, especially when you consider that it was supposed to be a rebuilding year," Force owner Linda Bache said. "We were very close to being in the national championship, so that leaves me excited about the possibilities for next season." 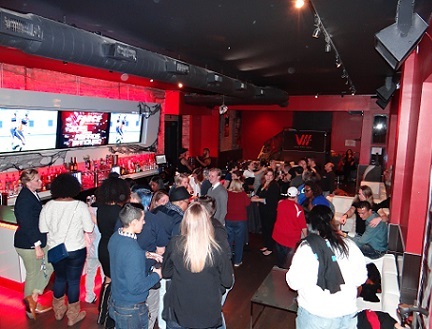 The Force held its annual awards banquet Oct. 24 at Seven Nightclub in Lakeview, with more than 100 attending, including players, coaches, staff, sponsors, family and friends. 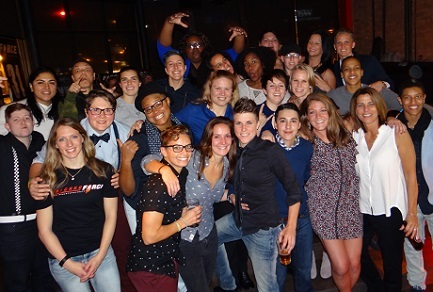 "The banquet always feels like a reunion because we're used to seeing each other 3-4 days a week during the season. This is the first time we've had the whole team together in two months, so everyone was excited to be together again," Bache said. According to Bache, all the Force needs to compete for the nationally broadcast 2016 championship is a few more players. All interested athletes should contact the team at recruitment@chicagoforcefootball.com and plan to attend the tryout on December 12th at Broadway Armory at noon. More details available on website and via email.